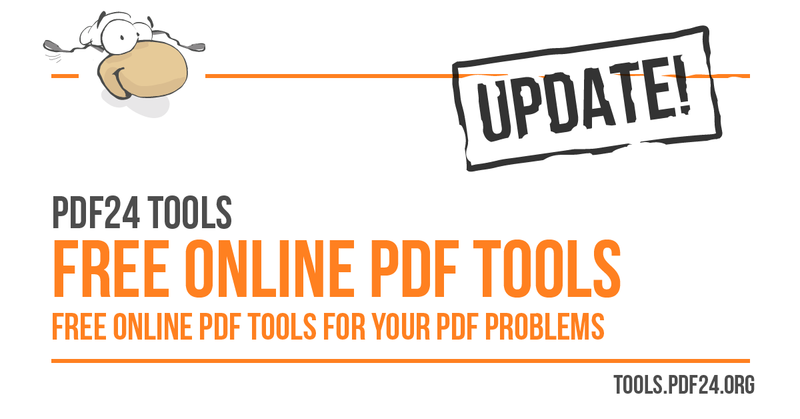 We have made some great new online PDF tools which we've published under the URL https://tools.pdf24.org/. The new tools are free, fast and really easy to use. We will continuously extend this tools section to make this area better. We have worked hard to create such a tools section and we have made them as easy as possible for you. If you have some time then please have a look at the new tools and tell us what we can make better. We hope that you will like the new online PDF tools. If you don't, please tell us why.